EuroFlex is the new product range we proudly revealed at Hearth & Home 2018. 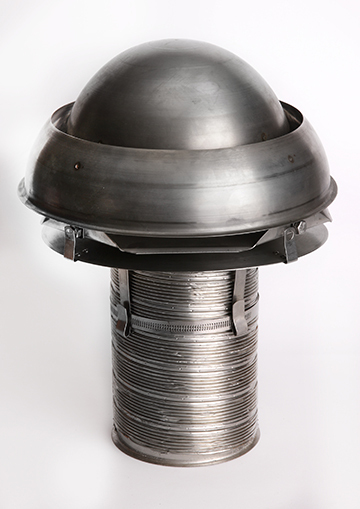 To say it was consisting of a liner, adaptor, register plate, and a cowl would be doing the pack a disservice, our aim to be number one in product, quality and service is highlighted by this pack where we aim for quality at the bottom, middle and top of your install. Our Flexible liner is HETAS approved and tested to BSEN 1856-2-2004 and is manufactured within an ISO 9001:2000 system. 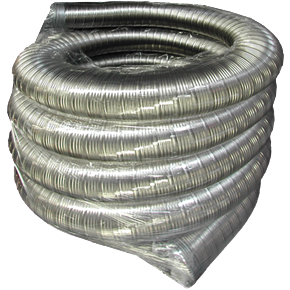 It is a Class A rated flue liner that is suitable for multi-fuel wood burning appliances where the maximum temperature does not exceed 600°C. It is also suitable for use with Gas and Oil appliances. We have a variety of lengths made to measure or if you prefer we can supply in full length coils. Available on 1-2 day delivery service or can be collected from our manufacturing facility in Southampton. View all EuroFlex products here.